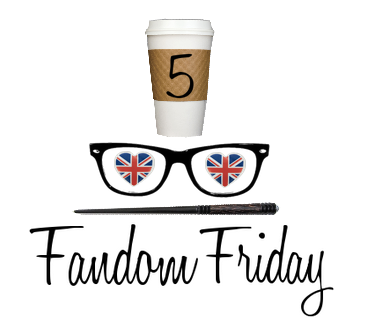 I love this weeks 5 Fandom Friday and I feel like I have an advantage after the few years I spent traveling to every convention I could possibly manage! I think each con has its own identity and personality that makes it what it is so if you’ve only been to one convention and didn’t love it, there’s a good chance you just haven’t found “the one” yet. For instance, DragonCon… so so not my thing. DragonCon is the Vegas of conventions in the sense that what happens at DragonCon stays at DragonCon. It is full of some serious PARTY people (which is not to say that I don’t enjoy a good party, but trust me, DC is just TOO much for this introvert). Here’s my ranked list! 5) San Diego Comic Con – SDCC is making my list because you just never know what will happen when you’re there. It’s THE convention. Whenever anyone so much as mentions a “comic con” chances are, this is the one they’re referring to. I’ve only trekked out one time for the convention and I’m glad that I can say I’ve experienced it. Some of the highlights of my trip include going to the Syfy party and attempting to act normal around the Being Human cast while sipping champagne cocktails with Molly, ending up at the IGN party by complete accident and sitting near a fire pit with Simon Pegg (truthfully, I wish I remembered this a little bit better), and eating a private lunch with some of my favorite comic book creators. The below photo is of the girls and I at the iFanboy party. 4) C2E2 – I think part of the reason I enjoyed C2E2 so much is because Chicago is like a tinier, cleaner NYC that closes down earlier at night. It’s held in the Hyatt McCormick hotel so you don’t have to spend money on cabs getting to and fro (unless you’re Melissa and I and wait until the last minute to book things). Again, it’s a smaller scale con and it’s mostly comics focused. I had a blast cosplaying here and I did enjoy going out for Chicago style pizza with Melissa and Jill even we all agreed that it doesn’t compare to a New York slice. 3) Star Wars Celebration – Oh man, this is one of my favorite favorite conventions. The year I went it was held in Orlando (right near Disney!) and I had so much fun. It’s a smaller scale convention and it’s so overwhelmingly Star Wars. There is such an in-depth history within the Star Wars universe so there’s enough to fill a convention center. This year it’s being held in Anaheim and it’s RIGHT BEFORE Star Wars: The Force Awakens is released in theaters so I can only imagine the amazing things ReedPOP has in store for fans. 2) New York Comic Con – NYCC is my home con so it falls pretty high up my list. It seems to get crazier and crazier every year but I can’t help loving it anyway. There’s definitely been a significant increase in fan attendance since the year I started attending which makes walking from one area to another (i.e., the show floor to Artist Alley) a bit of a nightmare but now I mostly just use NYCC as an opportunity to catch up with out of town friends. I tend to look up a few artists or booths I want to see, I don’t even attempt panels, and I just go with the flow. There’s also great after-parties! The below photo is of Janna, Jill, Chris, Marlene and I at the Mary Sue party! 1) Baltimore Comic Con – This convention is my absolute favorite year after year. It’s completely focused on COMICS and nothing else. I usually buy the majority of my yearly art haul at Baltimore Comic Con. Because the Harvey Awards are held during BCC, it tends to attract most of the biggest names in the industry and yet it maintains an intimacy that allows the con-goer to have a satisfying experience chatting with all of the creators they want without waiting in giant lines. It’s also really easy to get into panels. I went to a Sunday panel that started at 2pm, walked in at 1:55 and got a seat in the front row. Plus I get to hang out with Amy and Steph all weekend! 1) BEA – BOOKS! Need I say more? I’ll say one other thing. You get them for FREE. And there are author signings! 2) Toy Fair – So. Many. Toys. And enough space that you could presumably walk through the Javitts Center with your arms outstretched and not hit anyone in the process. Plus, you get to see all the toys that are coming out in the next year! It’s been my favorite every year! I love seeing Baltimore on another list! I’m sure I’ll see you at a few cons this year! I would love to go to so many of these, including BEA! It always looks like a mess of fun & books! You’re right, each con has its own personality/flavor and I like that you gave descriptions of each con. I’m definitely adding C2E2 to the list of cons I want to attend! (highfive) I put BEA in my list, too! I’d love to go sometime. Are you going to BEA this year?? I think I may! I wasn’t able to the last two years but I had SO much fun the year I did get to go! And it’s local so I have no excuse not to!! Are you?! OMG! I had no idea it was moving to Chicago. Then I am ABSOLUTELY going because I wouldn’t be able to live with myself otherwise! We’ll have to meet up there!! !